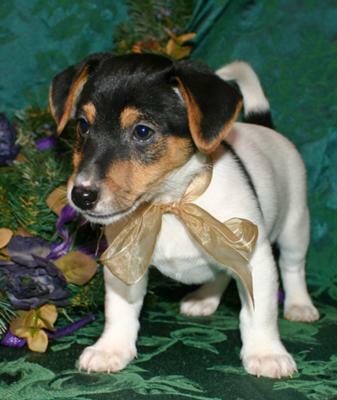 Violet Meadow Farm breeds and imports the finest Irish Jack Russell Terriers, known around the world for their situation-appropriate temperaments and family compatibility. 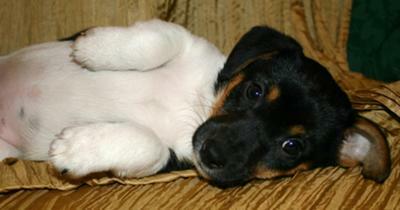 Our dogs make great pets for first time pet adopters or the experience dog owners. 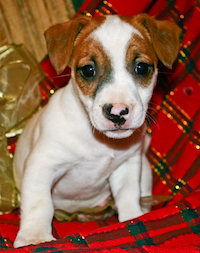 Contact us today to reserve your very own IrishJack! Mistletoe is a puppy at Violet Meadow Farm's IrishJacks. She was born in September 2011 and is available for adoption. 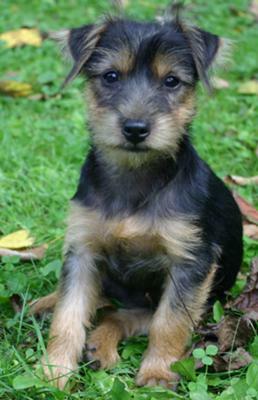 Jinglebell is a puppy at Violet Meadow Farm's IrishJacks. She was born in September 2011 and is available for adoption. Dreidle is a puppy at Violet Meadow Farm's IrishJacks. He was born in September 2011 and is available for adoption. Rudolf is a puppy at Violet Meadow Farm's IrishJacks. He was born in September 2011 and is available for adoption. Noel is a puppy at Violet Meadow Farm's IrishJacks. She was born in September 2011 and is available for adoption. Leyla is a puppy at Violet Meadow Farm's IrishJacks. She was born in June 2011 and is available for adoption. Tiny posing with our Veteran model, Cryssie! Mistletoe is a puppy at Violet Meadow Farm's IrishJacks. 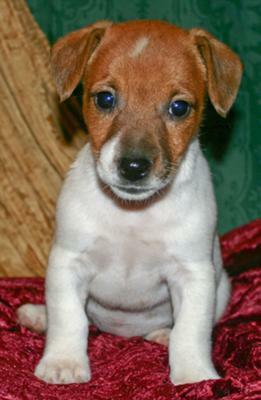 She was born in September 2011 and is available for adoption at www.IrishJacks.com. 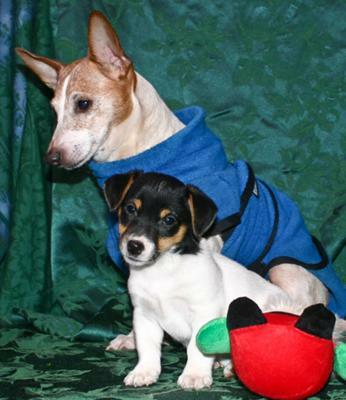 Violet Meadow Farm breeds and imports the finest Irish Jack Russell Terriers, known around the world for their situation-appropriate temperaments and family compatibility. Cryssie is one of Violet Meadow Farm's most distinguished Seniors. She spent her career modeling for agencies and companies, including Coach! See pictures of her modeling on our Accomplishments page at www.IrishJacks.com. But modeling wasn't all Cryssie did! She just loved being a mother to all the puppies she had over the years. Today Cryssie is enjoying her spoiled retirement life on the farm. Frosty is a puppy at Violet Meadow Farm's IrishJacks. 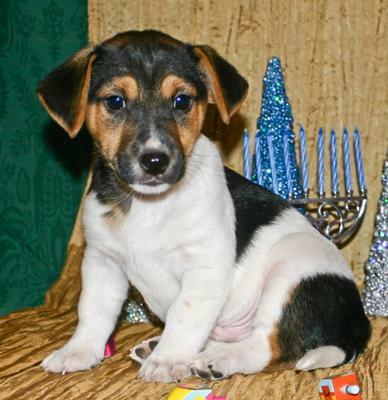 He was born in September 2011 and is available for adoption.